Different from bulky and burdensome car seats, our RIDESAFER®3 Vest Gen.3 provide easiness, comfort, and portability which genuinely encourage people to use them as often as they need, bringing better safety environment in their car travel. RIDESAFER®3 Vest Gen.3 has dynamically tested under the dynamic test conditions prescribed in FMVSS 213 as part of their due care procedures. 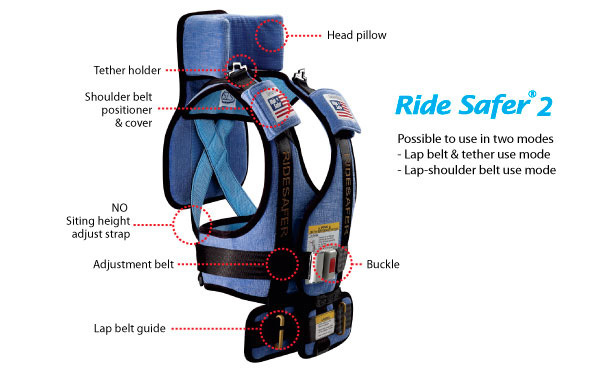 RIDESAFER®3 Vest Gen.3 uses the description “Tested to FMVSS 213” to advise the public that the product has been tested. 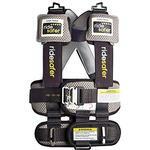 The RIDESAFER®3 Vest Gen.3 has only one use mode, use as a vehicle belt positioner and is used only with a vehicle lap and shoulder belt..RideSafer3 provided in a small and large size for children 30 to 60 lbs. and 50 to 80 lbs. respectively. 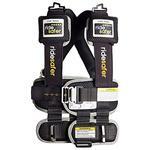 The RideSafer 3 has only one use mode, use as a vehicle belt positioner and is used only with a vehicle lap and shoulder belt. 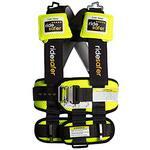 RideSafer 3 provided in a small and large size for children 30 to 60 lbs. and 50 to 80 lbs. When used as a vehicle belt positioner, secured with a vehicle lap and shoulder belt without a top tether, the primary function of the webbing harness system is to position and maintain the position of the lap belt low on the hips and maintain the position of the vehicle shoulder belt on the shoulder of the occupant. The sewn webbing of the RideSafer 3 also provides the support structure for the laminated fabric panels of the vest , the laminated fabric panels are included for ease of use and to reduce the crash forces transferred to the occupant. RideSafer™ is the smartest alternative to a booster seat you should carry for your child. It has IMPROVED CRASH PERFORMANCE, RESTRAINT, PORTABILITY, COMFORT, CONVENIENCE AND ACCEPTANCE. Reduces head excursion by allowing child to sit directly on vehicle seat. Innovative energy absorbing components & the vest design distribute crash force over wide area of the body and decrease HIC(Head Injury Criteria). Top tether and proper shoulder positioning provide improved upper body restraint. Positions vehicle seat belts on child so it moves with the child, maintaining proper belt positioning. Adjustable to fit growing children. Sized to fit until children fit adult vehicle seat belts. Moves with the child from vehicle to vehicle. Designed for use with vehicle lap-only belts or lap and shoulder belt systems. Adjustable to fit growing children. Padded design for comfortable fit. Children like to wear RideSafer™. Outward appearance mimics a space suit, which appeals more to children based on market research. Children would show off to friends, instead of feeling ashamed to sit in "Little Kids" booster seats. Use in any rear seating position with lap only or lap/shoulder belt.